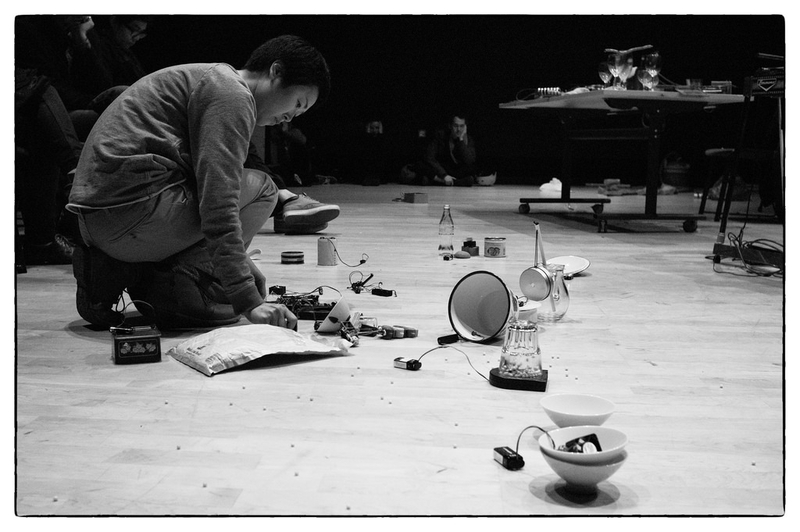 Rie Nakajima is an artist working with installations and performances that produce sound. Her works are most often composed in direct response to unique architectural spaces using a combination of audio materials and found objects. The works created for the purposes of "playing" the sounds she has in mind are often placed matter-of-factly on the floor or take the form of assembled objects that serve as sound makers, giving rise to inorganic spaces. Listening to the works in such finely honed environments brings to the surface in a pure way people's imagination, memories, and deepest thoughts. Nakajima has exhibited and performed widely both in the UK and overseas. She produces ‘Sculpture’ series with David Toop since 2013. In 2014 she won the Arts Foundation Award in the category of Experimental Music.